SSH-key-based authentication provides a more secure alternative to password-based authentication. In this tutorial we’ll learn how to set up SSH key-based authentication on a Debian 9 installation. Some websites don’t allow copying and pasting into input fields. Use this add-on to enable copying and pasting at sites that don’t allow it. I almost always setup a samba share on every Raspberry Pi I install, it allows me to easily share files and work on my projects – so I thought I had better write down how I do it. If you’re trying to remove a Time Machine backup from a drive and find that it’s stuck in the Mac Trash with a specific error message stating the trash can’t be emptied because “Some items in the Trash cannot be deleted because of System Integrity Protection”, then read on to learn how to resolve this particular Time Machine backup removal problem. We originally set out to do this because we were having problems getting an older model laser printer, specifically a Konica Minolta PP1350W, to work with MacOS High Sierra (10.13). With previous versions of MacOS we’d been able to connect the printer directly to the computer, and with some fiddling with drivers and other software, get it to work. But newer versions of MacOS seem to be far less tolerant of this, and we had a spare Raspberry Pi, so the idea came to us to use the Raspberry Pi as a bridge between the printer and any computers on the local network from which we wanted to be able to print. The bonus is that the printer is no longer tethered to a single machine, but instead can potentially be used by any computer on the local network. You do not need to have a Raspberry Pi to make this work – any computer that can run Linux will do. And of course the Raspberry Pi or other Linux computer can be used for other purposes besides this. We do not guarantee that this technique will work for every older printer out there, but this will work with a surprising number of them. 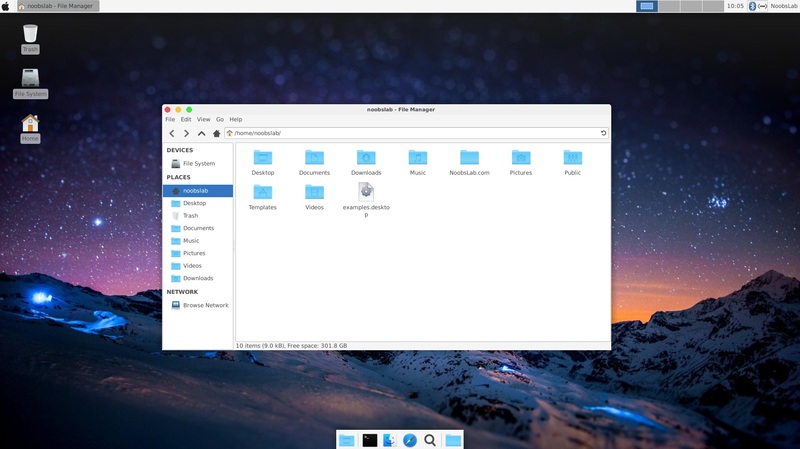 MacBuntu (Macbuntu Mojave/High Sierra/El Capitan/Yosemite) transformation pack is ready for Ubuntu 18.04 Bionic Beaver, we were constantly asked for this pack to be available on our site, so here it is for you guys. In this transformation pack we are featuring many themes for almost every desktop, so you don’t have to worry about the desktop you are using whether it is Gnome Shell, Mate, Xfce, Cinnamon or any other desktop. You can simply install it in Ubuntu/Linux Mint or any other Ubuntu based distribution and make your desktop look like Mac OS X. The Unity desktop is still supported in case you are using unofficial version of Unity desktop. In this pack you will find plenty of light variants as well as dark versions, which is managed by different creators and I would like to thank all of them for contributing these themes (McOS-themes, macOS High Sierra, macOS 11, macOS High Sierra – ELBULLAZUL). There are two themes for cursors, for dock we recommend you to install Plank dock and we are providing themes for it as well (credits: KenHarkey and erikdubois. Also we are including themes for Gnome Shell, for Cinnamon, and three icon packs in this transformation pack. This brief tutorial will show you how to quickly and easily convert Mac OS X Icon files (.icns) to .png files. We recently wanted to install the Kodi media player software to a system running Ubuntu 18.04 desktop. Here is the procedure we followed. This tutorial will provide you the ways to send emails from Linux command line. This is useful for sending email through our shell scripts, cron jobs etc.